As a relatively new member of this growing hobby, I find this podcast a fabulous, informative, inspiring and entertaining resource. With almost 600 episodes to choose from, there is SO much to tap into. Great for a commute to get you ready for a weekend of gaming or game design. However, live shows and those with alternate hosts are less entertaining... even annoying at times. In jokes between the giggling guest hosts or pandering to the negative with a live audience are simply not what I’m after. Still ... it’s a podcast I listen to when there’s a new one. I’d rather listen to Tom and Eric on a biweekly podcast than have rotating hosts. Also, the A-Z Top 10s need to go. I never find myself looking for a great game that starts with the letter C. I’m fine with revisiting past lists if you’re running out of ideas. Tom's series of podcasts and video reviews are in large part responsible for my interest in the boardgame hobby. Like others I'm sure, when I first got started it was the Dice Tower that I would listen to and watch to discover new games. Things have changes over the years, sometimes they miss but often times they hit. Love time listener to the podcast and enjoying the new alternating format and Tom/Eric and Susan/Mandi. Just listened to the 5 and 10 year look back episodes and really enjoyed the trip back to the past. I have listened for a long time! I love the new format and am happy to hear what perspectives each brings. Thanks guys and gals. Keep up the good work! Tom and Eric, but the other two hosts are unlistenable. I had be listen to the podcast since 2012 and can no longer do it. The only thing that has come out of this change was the discovery of new board game podcasts. Judging from some of the more recent reviews, you're losing loyal followers. I can no longer cringe at the words pie or random giggling at unfunny jokes. It honestly stresses me out and have to turn it off. Great for getting a quick overview of recently released titles. I think the girl hosts are immature and overly giddy though. Skip the live shows. Tom and Eric have tremendous chemistry. Great asset to the board gaming hobby. Was one of the best board game podcasts and still is when Tom and Eric do the show together. When the other hosts are on is almost unlistenable. What made/makes this podcast great is the interaction between Tom and Eric which is now less than every other week. Still love you guys though. I’d really love if Tom & Eric could have their own feed. I really dislike the changing hosts every other week. Tom and Eric are great. They are the reason I listen to the Dice Tower, and I have been listening since 2011. I also like when Susan and Mandi are guests, but definitely not as hosts. I'm not trying to be mean or rude, and I truly do try and listen to their episodes. That being said, once the giggling, and pie talk, and long discussions of one game happens, then I move onto another podcast. If this new format has taught me anything, it's that there are other great podcasts out there, but I do miss Tom and Eric. I’ve listened to this for years but lately I’ve really not liked it. They advertise for games the same episode that they talk about them. I feel like they won’t say it’s a bad game or talk about it’s negatives when this is the case. Susan and Mandy are cool but not why I listen. I feel like you guys talk more and more about the industry and less and less about games. Solid board gaming show, great array of voices! Great show. It’s nice to hear the broad array of opinions from the 4 hosts. Good work! I have been listening to this show for years as my go to podcast on board games and convention news. I like the hosts Tom and Eric and the idea to branch out and create new content in bringing us other podcasts. That being said, I have started to fall of when the show is featuring the two new hosts that were added. If the they as hosts were good enough to have their own show, let them. I do not listen to hear about food at the conventions or hear them laugh at their own jokes. Please, go back to the just Eric and Tom. Put the other two on their own show and see what the number for them are, don’t force them on us by putting them on this podcast. I check my downloads to see if its going to be anther foodie and giggle fest before I listen. Two stars, this show was a five star for yearssssss. I loved it. Till they changed the line up and I’ve watched it crumble. And maybe they are growing more than ever? But for me it’s done. It’s like if you ordered steak from a restaurant and the waiter brings you an uncooked heap of hamburger meat. I’m sure the noble thing would be to get up and walk away but something I loved was cheapened and I feel the need to explain why I’m so sad the restaurant is doing this. It’s so hard to bring someone on, let alone two, who were not the main attractions before. And to expect them to run the show? To hold down the fort? Looking at other reviews I am so thankful others were feeling since 500 like I did. Thank you all. I think until I hear it’s changing up and we see more of the steak we want and came for, I’m out. Sorry gals. You guys aren’t bad people, just not the hosts I want to listen to. Edit: I upped the stars to 4 because they have500 episodes and don’t deserve the hard grade because of a line up change. This podcast is, bar none, the best one for keeping its audience up to date on developments in the world of board games. Well done and highly recommended. 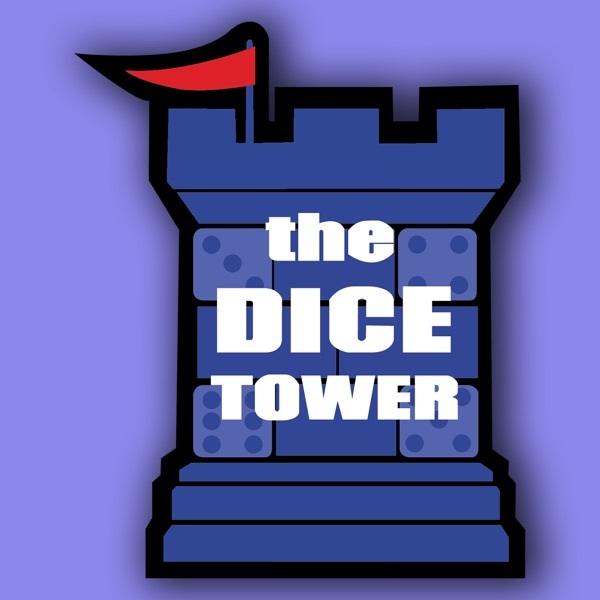 Dice tower used to be a great weekly podcast. But after a major format, the show is a shadow of it former glory. I gave it a 3 month chance, but I have to unsubscribe now. I hate having to delete half the shows. They are not what I want. The Dice Tower Podcast is the standard by which we measure all others. Their consistency, humor, knowledge and shear love of gaming makes each episode a true joy. The recent addition of Mandi and Suzanne has added fresh life to this great show and made it even more entertaining. You can't go wrong subscribing. Have been listening for years and years, and Tom has always grown and improved the show. The latest season is the best yet, with a rotating set of hosts and lots of great games and opinions to hear about. Because of two intercontinental moves over the second half of the year, we had not listened to The Dice Tower since August. When I just now played the new episode and didn't hear Tom and Eric, I was concerned. Now, it's just no longer The Dice Tower. I don't know these people. I don't have any connection to them. They were just subsitituted in without notice. I won't be listening anymore. It was the only gaming podcast we listened to on a regular basis. Sad to see the sudden change. If you like board games and podcasts, then you should already be listening to this one. This used to be the premiere tabletop gaming podcast, but it has gone way downhill since episode 500. The new format is very poor compared to past formats. They brought in new hosts that alternate episodes between Tom and Eric, who instead should have just had their own podcast. The quality between episodes oscillates up and down so much between hosts and the new guests format that many episodes lose all critical objectivity or listenability. This truly was the top tier of gaming podcasts, and now maybe an episode or two a month is even worth listening to—what a shame. This is a downgrade from what has for the better part of the last decade been a five-star show for me. During that time I know that the Dice Tower as an organization has grown exponentially and I understand that means change. But the one thing that should never have been changed is this flagship podcast. Tom and Eric’s voices are the heart and soul of the Dice Tower and without those voices it just isn’t the Dice Tower at all. The new hosts are less engaging, less knowledgeable and less connected than Tom. This makes this new Dice Tower podcast a massively inferior product. I have stopped listening to what was once a weekly must-listen podcast because of this change. My one glimmer of hope is that Tom and the folks at TDT have always been good at listening to fan feedback. Mine is this: give these ladies their own slot on the network but bring back the real Dice Tower podcast. Even if administrative constraints mean we only get a biweekly or monthly show it would still be preferable to the disappointment that many of us feel when we fire up a brand new episode only to hear someone other than Eric and Tom introducing the show. Big fan. The personalities of the Dice Tower are all fun, enjoyable to listen to, and full of great board gaming knowledge. Great to hear Suz and Mandi! Digging the new hosts! Great format! The two new hosts are pretty irritating. I wish their jokes were as funny as they think they are. The constant giggling! Please bring Tom and Eric back! Will unsubscribe now. Tom Vasel is The Godfather of board gaming and this is the podcast that taught me a lot in my early days of gaming. Can a podcast about board games be uplifting? Yes, and Tom brings the sunshine. I first learned about board games on another, defunct but aweseom podcast, A Better You, and then hit Google ti find out more. I landed on Tom's website and then this podcast which is invaluable if you want to learn about the newest board games. Tom and Eric are a fantastic dip and balance each other out incredibly well. A lot of podcasts have a one minded team but the civility and discussion that comes from any disagreement is more productive and informative than if they always agreed on everything. Great show, thank you. But I'm not complaining! I've had hours upon hours of fun with my gaming group playing games recommended from this podcast. Love the hosts, love the quick but informational reviews, and love the recurring segments which are always highly entertaining. If you're a board gamer, this is essential listening. For anyone interested in designer board games at all (buying, news, mechanics, history, etc), you need to be listening to this podcast. Hands down the best board game podcast on the market! Not just 500 episodes, 500 good episodes. Not many folks can say that. With teh 500+ episode. Liking the new post 500 co-host episode. Eric as a full time co-host with Tom and the rotating 3rd co-host is a recipe for success. Simply put this is the best of the gaming podcasts out there for sheer number and of games and quality reviews and talked about on any podcast. The information (reviews and such) that I get from this podcast is generally good, but I find the personalities boring/irritating. Most of the time the hosts are not very funny or entertaining. They try too hard. Conversation flow is awkward, and most jokes fall flat, with horrible timing. Also this show is horribly overproduced. Tom and Eric do an excellent job of describing games in an objective fashion and then providing their subjective opinions. I don't always agree but I do respect their perspectives. Dice tower is the best podcast to get info on a bunch of board games. Always entertaining. Really enjoy the format and discussion on board games. Love the top 10 lists and user submitted tales. This really is the best board gaming podcast. If you are new to board games or board game podcasts, subscribe here first. I've been gaming for about as long as Tom has, and I watched a few of his video reviews many years ago. I did not like them...at all. For this reason, while searching for gaming podcasts to consume, I stayed away from the Dice Tower brand for a while. Two years ago, with a long trip ahead of me, I decided to take the plunge, so that I would have plenty of listening material for my travels. I haven't turned back. Tom and Eric have a great rapport, and they know how to break down a game quickly. While my tastes don't really line up with either of them, they're so good at describing games, I can usually figure out from their comments how I would feel about the described game (except for Shafausa, and Patchistory, and...well, maybe I'm not that good at this afterall). Now I'm subscribed to several Dice Tower podcasts, and I'm loving it. This podcast will make you love board games even more. You won't miss a beat on gaming news and reviews listening to it every week. Tom and all the contributors going back through the years sound like old friends and certainly know how to make the podcast fun to listen to. Tom and the gang provide the absolute best board game information that is current, relevant, and always enjoyable. There are always interesting segments that are provided by various kinds of gamers with varied perspectives. I love that you will always hear a balanced perspective on games and top 10 lists. I highly encourage a listen, you will be hooked. Always fun, covers a lot of material. Great overview and does it in less than an hour. You only need on Cabalist podcasts...these guys keep it simple. Must listen for a board gamer. Everything comes back to The Dice Tower. If you listen to podcast about board games it's basically impossible to not hear about this show. It's funny and well polished. It features some of the best segments in any podcasts. My favorites being GameTek and History of a Board Game! I have listened to every episode (no mean feat) and I love the small segments (Game Tech, e.g. ), Tom and Eric, the Top Ten lists, and all the reviews. I usually buy games based on Dice Tower descriptions, and they've all been good for me. Don't shut the door on this podcast. The only minus I see with this podcast is that there is only one per week. I really enjoy listening to Tom and Eric talk about games, the different segments that they try to introduce are also quite fun. I am a big fan of the tales of horror/amazement/awkwardness. Extremely well-run podcast detailing lots of board gaming goodness. If you like board games, there's no good reason not to add this to your rotation, the variety of segments and entertaining hosts make this one of the best out there.